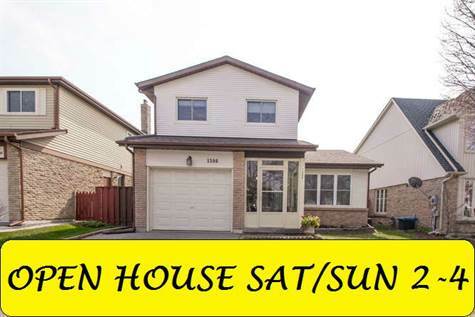 1398 Everglades Dr, Oshawa - Exceptionally Clean, Well Maintained And Finished Top To Bottom. This Detached 4+1 Bedroom Home Is Located In A Family Friendly North Oshawa Neighbourhood. Spacious Foyer Entrance, Updated Kitchen, Gorgeous Stone Covered Gas Fireplace. Hardwood In The Breakfast Area, Dining Room And Living Room. Double Door Walk-Out To Fully Fenced Yard With Large Deck, Perennial Gardens And Beautiful Inground Pool. This Private Backyard Is A Perfect Oasis To Relax And Unwind. The Basement Is Finished With A Rec Room, Extra Bedroom, Exercise Room And Additional 3 Pc Bath. New Broadloom 2016, Furnace 2010, Roof 2013, Updated Windows And Bathrooms. Freshly Painted. Pride Of Ownership Is Evident. See Virtual Tour For Additional Photos. Much obliged to you again for all the information you pass out, Good post. I was exceptionally keen on the article; it's very rousing I ought to concede. I like going by you site since I generally run over alluring articles like this one. Incredible Job, I enormously am thankful for that. Do continue giving out! Respects. Specification of the above house, you have described in this post for those people who want to buy such house. I think a lot of investors will be interested in this house due to its reasonable price and prime location. On the way, I try to get reviews of http://www.getcoolessay.com/ and this website has more house detail for selling with different prices.